The benefits of donating to or volunteering for charity are undisputed. It’s in our name after all, CouponCause! Combine that with the health benefits you get from being active, and you've got a winning combination. Here are 10 cities around the country putting the fun in fundraiser! Driving Parkinson's Away Golf Tournament - June 3, 2019: Benefiting the American Parkinson Disease Association, this event offers five different sponsorship options and is held at Dunwoody Country Club in Atlanta. Fees include a tournament gift bag, food, drinks and post-tournament reception. Adopted by You 5k & Fun Run - June 8, 2019: This fun run was created by a couple who experienced first-hand the costs associated with adopting a child. Since it's the first run in 2017, this event has raised $50,000 to help families cover the costs associated with adopting children into their forever homes. KIPP MA 10k Road Race Fundraiser - June 9, 2019: KIPP Massachusetts' mission is to create an academic environment where students develop the skills and habits needed to maximize their potential in high school and beyond. This run benefits their mission with a beautiful course that runs along the ocean and a family-friendly area for spectators at the finish line. Annual 5k Run/Walk for Autism - May 11, 2019: All proceeds with the exception of the registration fee for the 13th annual event benefit autism education and research, and help children with autism develop life skills so they can be as independent as possible. Extra donations will grant participants entries into a monthly drawing for one of many prizes. Volley for the Cure - June 1, 2019: This volleyball tournament benefits Relay for Life, a community-based fundraising event for the American Cancer Society. For only $25, participants get to participate in the tournament, a lunch buffet and two drink tickets. Golden Golf Challenge- June 22 - June 24, 2019: This three-day golf outing benefits the Valley Medical Center Foundation. Enter either as an individual or as a foursome. Tour de Cure - June 22, 2019: Benefiting the American Diabetes Association this event has bike ride, run and walk options for the whole family. Fees include a lunch and after-party. Walk to End Alzheimer's - October 5, 2019: There is no registration fee for this event. 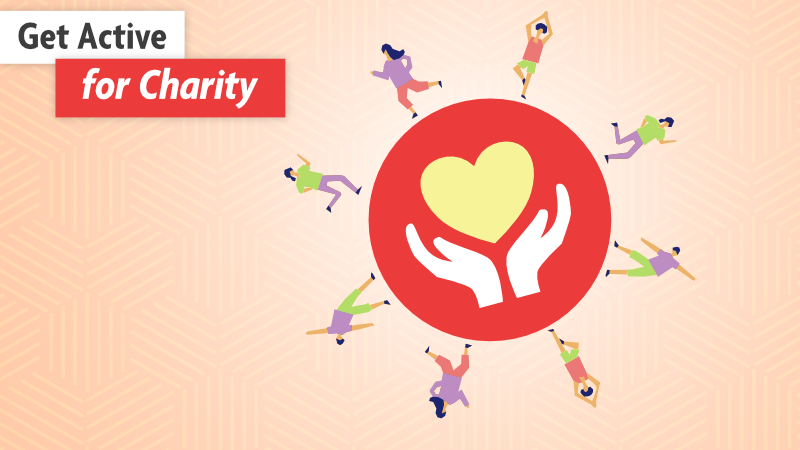 Instead, participants are encouraged to donate an amount they feel is fair or raise funds by having a sponsor. Christmas Carol Classic 5k/10k/1M - December 21, 2019: Fun-run-loving Denver residents consider this the event of the season with proceeds benefiting with the Denver Children's Home. There are ride, run and walk options for the whole family, as well as a lunch and after-party. Yoga on the Steps - September 15, 2019: This Reach & Raise event sponsored by LBBC (Living Beyond Breast Cancer) brings communities together to support people who've been impacted by breast cancer. Since everyone is in the same place at the same time, unlike a run or walk, participants enjoy a special sense of unity. Finish the Ride and Finish the Run - May 19, 2019: This event is actually a combination of seven different bicycling and running events. Proceeds from the event go to programs designed to make the L.A. streets safer for everyone. Walk to Cure Arthritis - June 2, 2019: Considered the largest arthritis event in the world, this event benefits the Arthritis Foundation. There is a 1-mile and 2-mile option as well as other activities, and dogs are welcome. Run for Beer - June 15: Considered a 5k-ish event, this fun run starts and ends at Lincoln's Beard Brewery Co. Ten percent of proceeds go to Samurai Piggy and Friends, which is a local nonprofit helping impact the lives of anyone going through hardships by bringing them together for exercise and socialization. CKO Kickboxing Miami - Alzheimer's Fundraiser - May 25: Sometimes it's fun to step outside of your comfort zone and try something other than a typical fun run. Besides helping participants get in shape, this kickboxing class donates proceeds to the Alzheimer's Association. Turkey Trot - November 28: Earn your Thanksgiving dinner with this 5k and 8k run, or at least earn the cinnamon roll you get at the finish line. Proceeds benefit the Hunger Task Force. Do it in the Dark Fore a Cure - August 23: This six-hole scramble golf tournament benefits Alex's Lemonade Stand to fight childhood cancer. Participants get to take part in the tournament, enjoy a chicken or fish dinner and try their luck at raffle prizes and a silent auction. Rugged Maniac - June 22: Over 25 muddy obstacles over a three-mile stretch make for a messy but unforgettable time. Participants get to enjoy a party with beer and music afterward. Proceeds benefit the American Cancer Society. Meow Parlour Cat Yoga Sessions - Ongoing: New York's first cat cafe is also a nonprofit organization fostering cats that are available for adoption. Check their website for the next cat yoga session where you can interact with adoptable fur babies. Yoga Gives - July 28, 2019: Presented by Lululemon, Yoga Gives is an all-day yoga celebration benefiting St. Jude. The UW Botanic Gardens provide an ideal environment for finding your zen. Furry 5k - June 9, 2019: In its 20th year, this dog-friendly 5k benefits the Seattle Animal Shelter Help the Animals Fund. Stick around afterward for Pet-a-Palooza, an event in itself with vendors, entertainment and a pet costume contest. There are countless other charity events around the country, too many to mention here. Regardless, hopefully some of these options will inspire you to check out some other nonconventional, yet active charity events in your community. Find more great charities to work with from our list of Featured Causes!